Mixology are proud to introduce our professional cocktail kit. 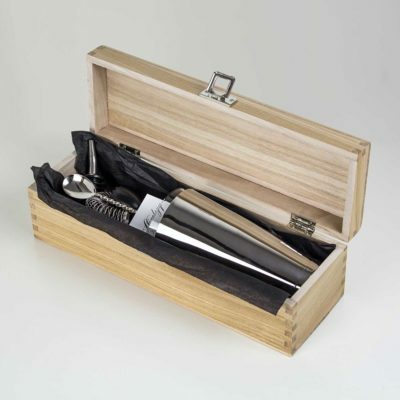 The cocktail kit is suitable for mixologists of all standards and includes all of the equipment necessary to make high quality cocktails. All of this equipment can be stored in the wooden presentation box provided. The Cocktail Kit can be purchased for personal use or as a gift.